This pup is ready to go for a dip in the pool. Morey's Piers in Wildwood will host two dog-friendly events in September, before summer ends. 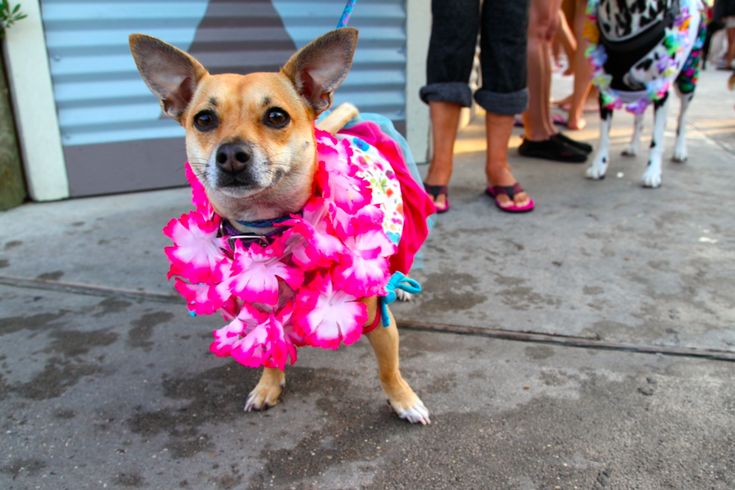 On Saturday, Sept. 10, Morey Piers' Raging Waters Water Park will go to the dogs. There will be a puppy pool party in the evening, where canines have free rein to paddle along the river adventure, play in the fountain pool or fetch tennis balls in the activity pool. 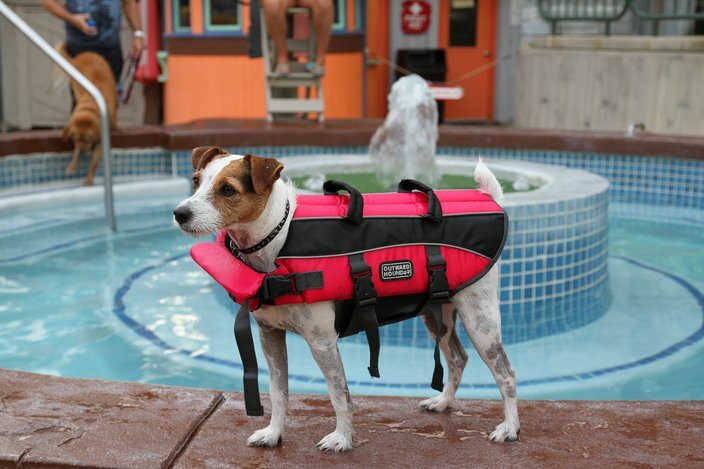 Water bowls and free dog treats will be stationed throughout the water park during the event and each dog will receive a Morey’s Piers souvenir to take home. Owners will find food and beverage menu options at the Wrecker’s Beach Grill for purchase. A portion of proceeds from the event will benefit a local animal charity, to be announced. This dog is ready to swim. The day before, on Saturday, Sept. 9, there will be 5K and 1-mile races on the beach. Owners and pets are invited to run together. At the end, all dogs will receive a complimentary gift bag, owners will receive a medal and there will be a party with food, music and pet-friendly activities. Proceeds from the race will benefit Team Foster, a nonprofit organization that pairs service dogs with veterans suffering from combat-related disabilities. Morey’s Piers will donate $5 from each race registration directly to Team Foster.